I don’t know if you remember Jess, she was so little when you treated her for all those years! In high school she was asked so many times to write about experiences that shaped her life and given that she did not have to deal with death, divorced parents or poverty, she always reverted back to you and how much of an impact you had on her young life. It was in her Junior year of high school that she decided she wanted to pursue a career in medicine. Now, in her first year of College, she is being asked again to write essays of the same nature and this was her most recent one that I thought I would share with you. You deserve to know how important of a roll you played in our lives and so many others. I hope this email finds you well Dr. Pransky and who knows, maybe you and Jessica’s paths will cross again some day! After suffering from over one hundred ear infections, the doctor’s office and hospital became a very familiar place to me. I frequently visited my local doctor’s office, where I was fortunately treated by the renowned Chief of Pediatric Otolaryngology and professor Dr. Seth Pransky. In order to help drain fluid accumulation from behind my eardrum, Dr. Pransky placed miniscule plastic tubes in my middle ear for ventilation during a tympanostomy procedure. After about six months, these tubes would fall out during my sleep. The following night, I placed the tubes under my pillow and eagerly awaited the crisp dollar bill I expected in the morning. It was a brilliantly simple notion that struck wonder in my three-year-old self. Dr. Pransky was the one who first introduced me to the concept. 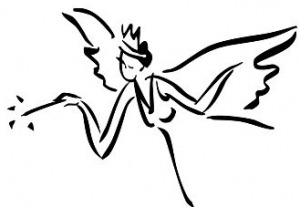 As a way of lessening the daunting surgeries I underwent, Dr. Pransky created the “Tube Fairy”, a similar concept to that of the Tooth Fairy. Children are less likely to fear the act of pulling out a tooth if they believe that they will be rewarded with treats and money. As a young child with a history of perpetual ear infections, the Tube Fairy was the perfect approach for me. With no progress regarding my incessant ear infections and my several eardrum perforations, Dr. Pransky performed seven surgeries by the time I turned eight-years-old. Since it was so unusual that my ear infections returned so frequently after the tympanostomy procedure, Dr. Pransky developed new games for each of my visits and would even keep a stash of my favorite lollipop flavor. His treatment and genuine compassion greatly impacted my life, propelling my desire to emulate his dedication to helping others. As a child, I did not fully comprehend the excess attention and devotion that doctors went the extra mile to give me. Now, I strive to nurse patients back to health going the same extra mile that I was treated with. Because of my distinct, quite diverse childhood hospital experiences I feel more prepared to mirror the care I was given for those similarly diverse patients. Jessica L. is a former patient of Dr. Pransky’s, now studying nursing at Ohio State University.